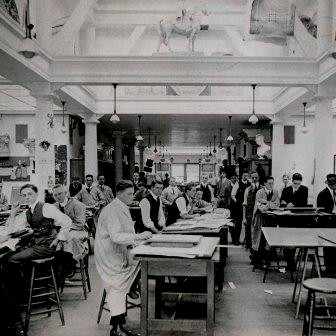 Avery Drawings & Archives Collection consists primarily of drawings and architectural records by American architects of the 19th and 20th centuries. They also have drawings related to Columbia University, in particular, the Morningside Heights campus. For more information, please contact avery-drawings@library.columbia.edu. The Barnard Archives and Special Collections acts as the final repository for the historical records of Barnard College, from its founding in 1889 to the present day. They collect materials that reflect campus and academic life at Barnard College. For more information, please contact archives@barnard.edu. The Burke Library and Archives holds personal papers and institutional records covering a broad range of themes. The Archives reflects the Seminary's leadership in social issues, religious morals and theological thought. If you have any questions about these collections, please contact burkearchives@library.columbia.edu. The Archives and Special Collections at the Augustus C. Long Health Sciences Library of Columbia University collects, preserves, organizes, and makes available rare and unique materials documenting the history of the health sciences in general and at the Columbia University Medical Center (CUMC) in particular. 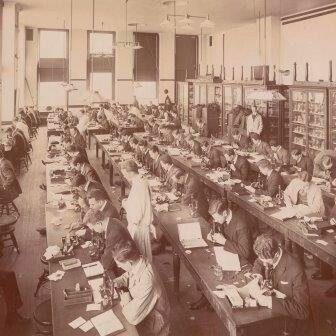 The department also serves as the archives for the schools of the CUMC: College of Physicians & Surgeons (1767), School of Nursing (1892), College of Dental Medicine (formerly the School of Dental & Oral Surgery) (1916), Mailman School of Public Health (1922), College of Pharmaceutical Sciences (1829) and Presbyterian Hospital (1868-1997). For more information, please contact hslarchives@columbia.edu. The Law Library's Special Collections contains a number of materials useful for either genealogical or institutional research such as class lists, student newspapers, photographs, and yearbooks from select years. The Library also holds materials which document many aspects of the Law School's history including student notebooks, faculty directories, building plans, course catalogs, reunion materials, and Law School publications such as the Columbia Law School Magazine. For more information, please contact the Special Collections Librarian at heath.mayhew@law.columbia.edu. In addition to contemporary collections in all areas of the Teachers College curriculum, the Gottesman Libraries maintain four major historical collections of books, manuscripts, and archival materials. These collections focus on the history of Teachers College, educational research and scholarship, curriculum materials, and children’s fiction. For more information, visit http://library.tc.columbia.edu.